The EGR Nordics Awards will celebrate the most successful and innovative online gaming companies operating in the Nordic region. The EGR Nordics Awards celebrate the most successful and innovative online gaming companies operating in the Nordic region. Whether it is commercial success, game-changing innovation, leading customer service or marketing prowess, these awards recognise the operators and service providers that have stood out over the past 12 months in an extremely competitive market. EGR’s team of independent, external judges is updated each year and is selected to bring a diverse range of in-depth egaming expertise to the judging process. All judges are required to sign a disclaimer form to keep all submitted information and the winners confidential, and are obliged to declare that they have no conflicts of interest prior to judging. The full list of judges will be published after the judging process has been completed so that there is no attempt to influence the judges as this would result in immediate disqualification from the awards. Groups of judges are allocated categories, which are aligned to their specific market knowledge and avoid conflict of interest. Each group of judges have no access to the submissions or results of categories they are not involved in judging. Awards will only be awarded in categories where two or more submissions have been received. A panel of independent, external judges decides on the shortlist prior to the submissions being sent to the final judges. If there is no clear winner a conference call will be held by the allocated judges for that category. A Highly Commended may also be rewarded in this instance. EGR does not contribute or have a vote within this process. The winners will be announced at the awards ceremony. EGR do not share individual judges’ scores and comments, however explanations for the winner of each category will be provided online after the event. 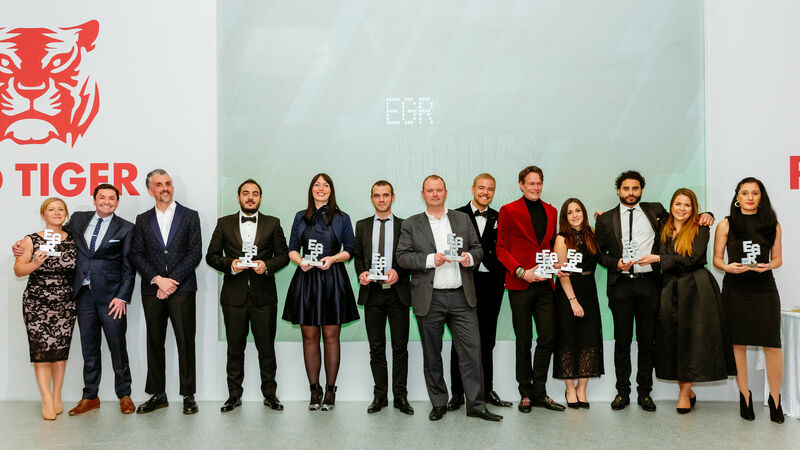 The EGR Nordics Awards took place on Thursday 24 January 2019 at the Corinthia Hotel St George's Bay, Malta.